It’s yet a NOLA Gold table, but a bit snugglier after the weekend action. 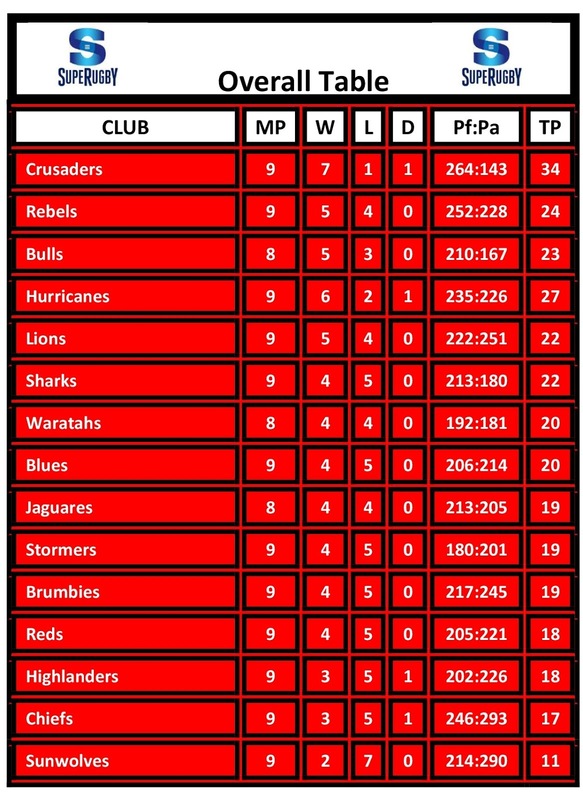 Slight shift in the complexion of the first four clubs currently in the playoff frame with one dropping out and another moving into the fourth and final spot. 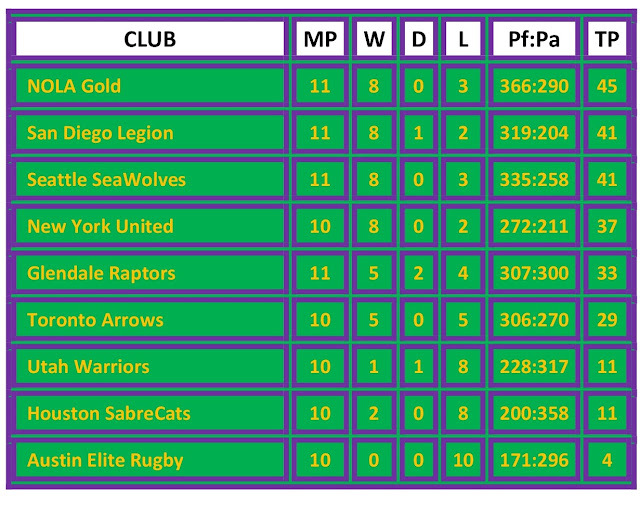 Clubs either have 5 or 6 games to play, and that means that a potential of 30-35 table points are yet on offer. 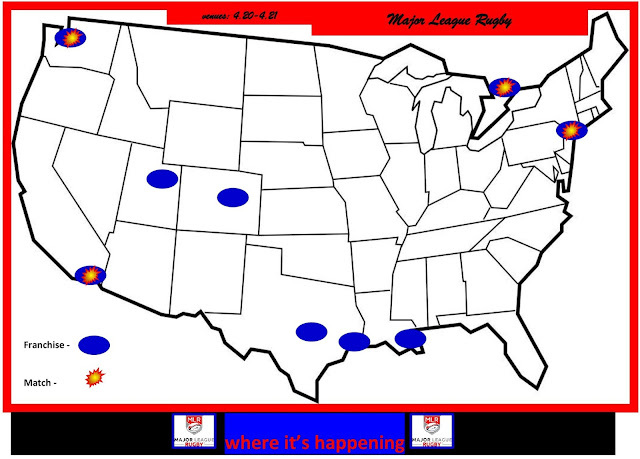 San Diego Legion are hottest in the league right now on five running without a loss. 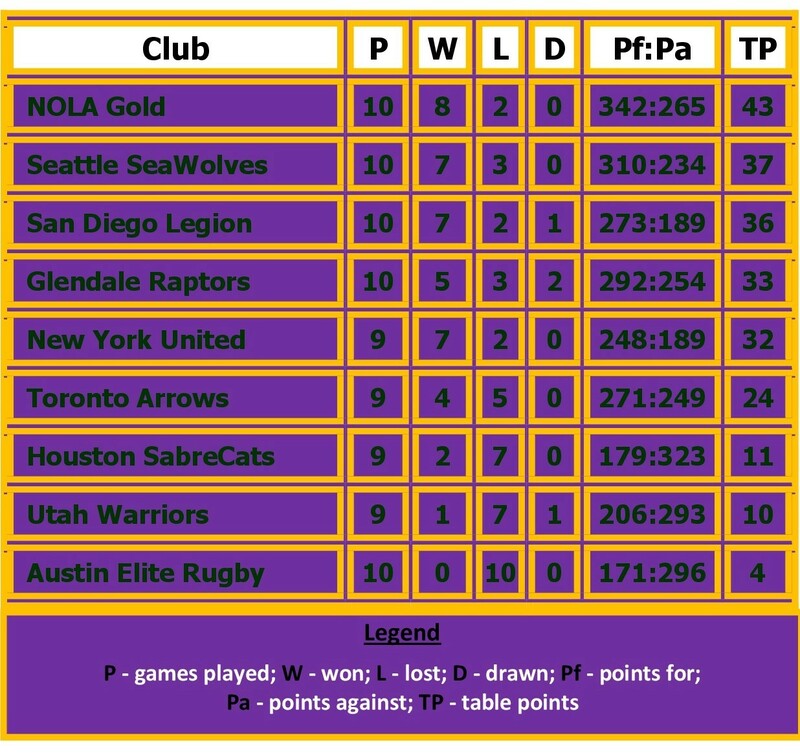 New York, the best road record on only a single loss. Gold are yet in the lead on the track, but it is certain that the Louisiana franchise can feel the thunder in the hooves of close-chasers, San Diego and Seattle. NYU are the new boys in the top four, while Glendale have dropped from that august grouping. Both Australian clubs on the trot in South Africa victorious, while the Rebels only roadside from Oz to lose and they dropped a decision to fellow continentals, Waratahs, in Sydney. 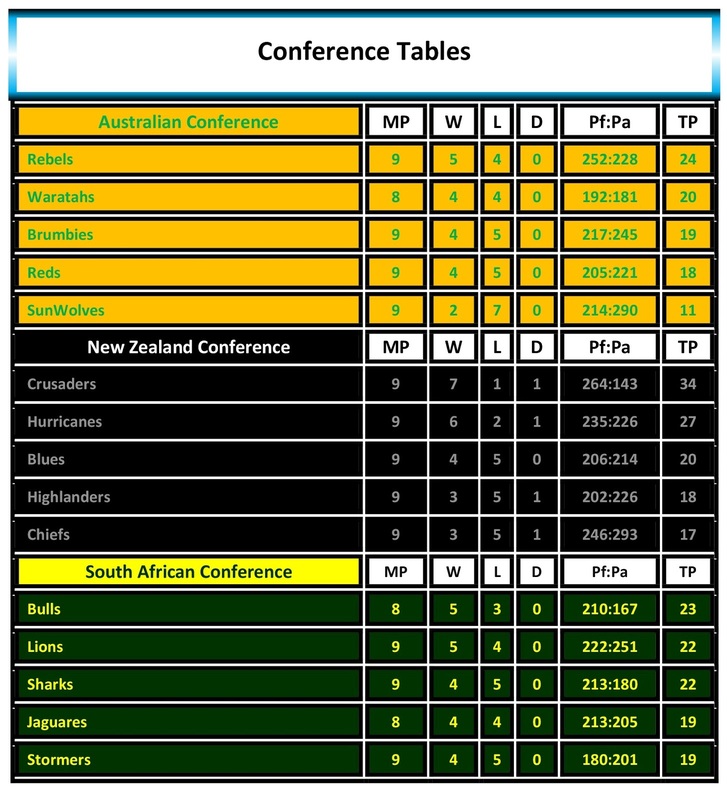 All SA clubs within a win of one another with Bulls and Jaguares having a match in hand that conference. 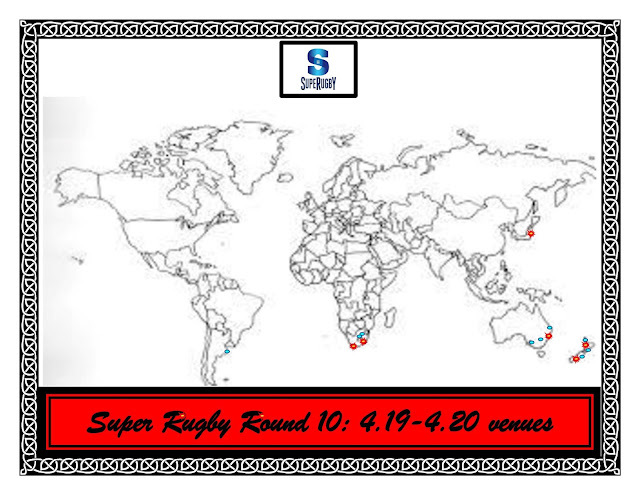 * SunWolves are slated to be dropped from Super Rugby competition either at the end of the year, or when the present SANZAAR media contract expires after the 2020 season. 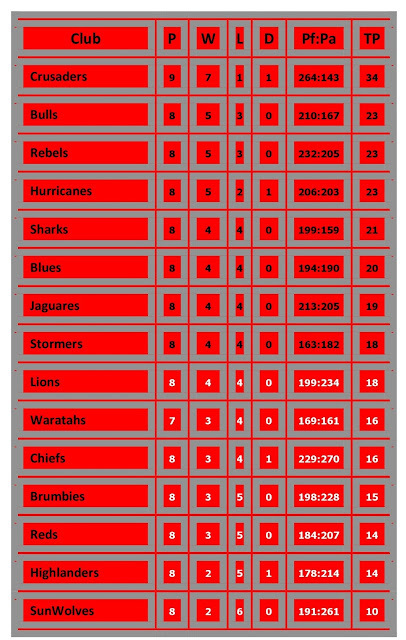 Evidently the only Northern Hemisphere Super Rugby organ was deemed to have not been generating cash sufficient to ensure their extended existence... bottom line: there’s a number which SunWolves weren’t attaining and South Africa’s SANZAAR contingent, the ruling element of Super Rugby due their own significance in size and solvency, liked neither the money produced nor the travel required of their own clubs to sustain support for the team; AND Japanese RFU pulled support, so that paved the way for the ‘Wolves to the Super commode. So, soon the sun will set on the SR club from the Land of the Rising Sun, eh? 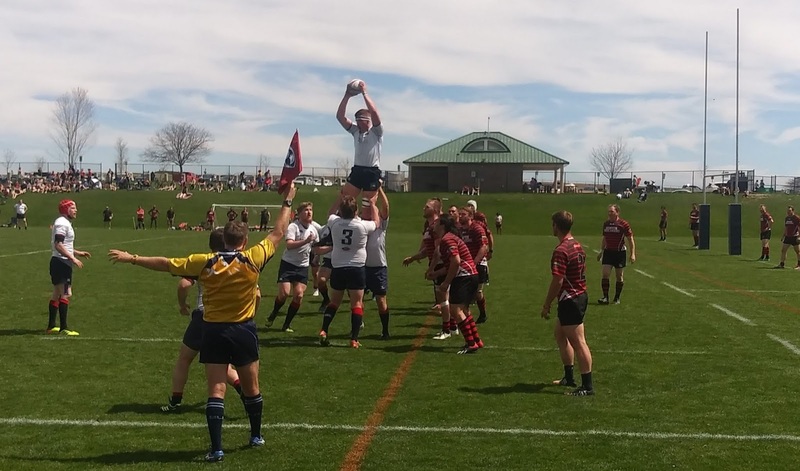 Overcast burning off and temps in the low 70s for the Boulder Rugby v Denver Highlanders contest at the organic PleasantView Rectangular Rugby Stadium. 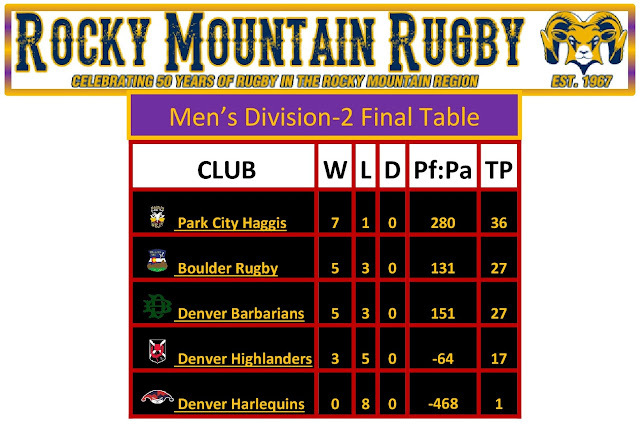 The outcome of the match would determine Park City Haggis’ competition in Grand Junction next RugbyDay for the Rocky Mountain Rugby Men’s Division-2 league title. 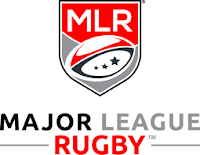 America’s Most Wonderful Rugby Meal are top of the heap now as they’ve already completed their 2018-2019 campaign. 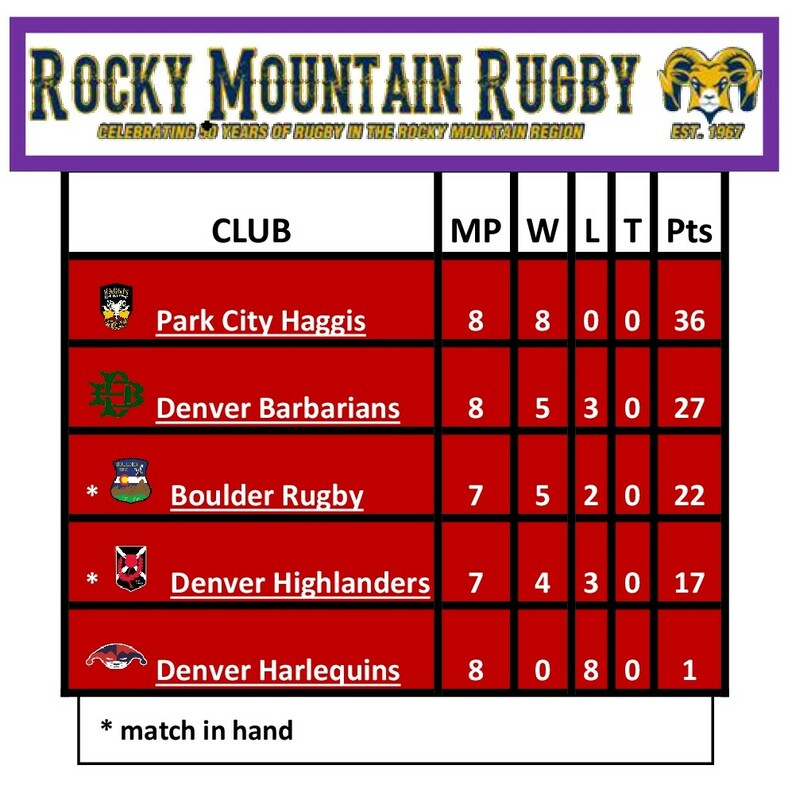 Boulder would have to win the upcomer, and with the bonus-point - four trys or better - to reserve a berth in the RMR Championship fixture next weekend and deny reigning national champions, Denver Barbarians, that opportunity. 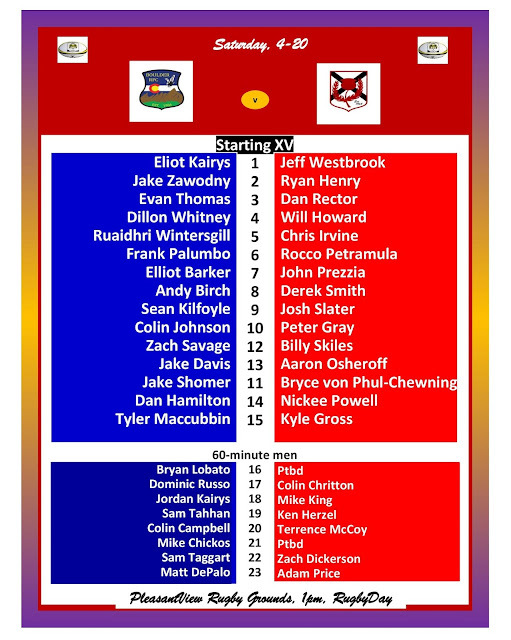 Highlanders got up and after it swiftly with significant stoppage by outside center, Aaron Osheroff, and the subsequent turnover at breakdown, putting visitors on the front foot for the moment. Half dozen phases later and travelers had turned ball over themselves on a handling error out wide. Boulder set up in Highlanders territory for an extended period with scrumhalf, Sean Kilfoyle, organizing the action in a canny mix of pick-and-go stabbers and near channel cutters, and Boulder worked patiently into the Denver business district, ten meters from goal. 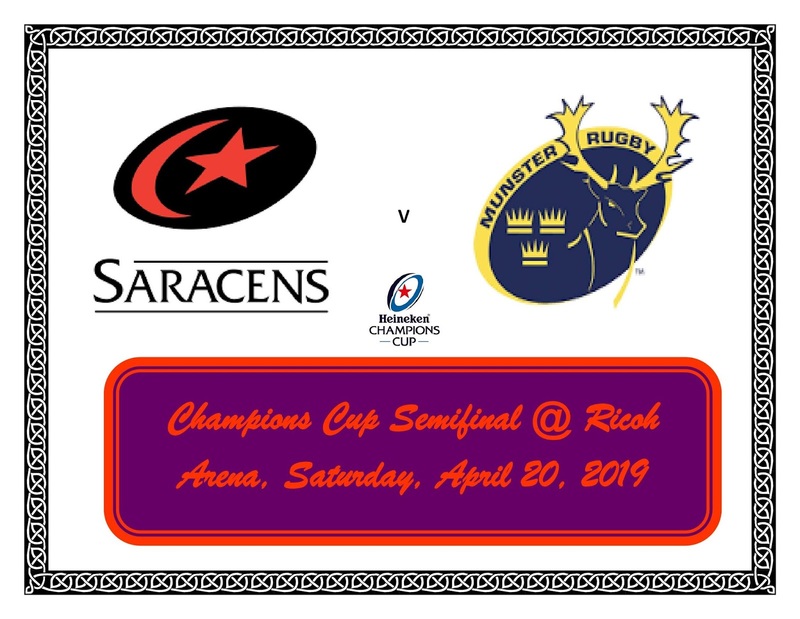 Staunch and steadfast the Highlanders defense, forcing the knock-on followed by clearance for touch by flyhalf Peter Gray. Boulder remained on their adversary’s half of the pitch, aided by a number of penalties at and about the tackle, however, and in the 10th minute Boulder 10, Colin Johnson, snatched the ball from the loose, scant meters from goal, sliced into that Promised Land, and touched down for the opening try-converted by Kilfoyle, and 7-nil homeys right then. Home team got another after fullback, Jake Shomer, fended away contact at Highlanders ten-meter line and raced 40 for the score; plus-two by Kilfoyle and 14-0 at minute 16. 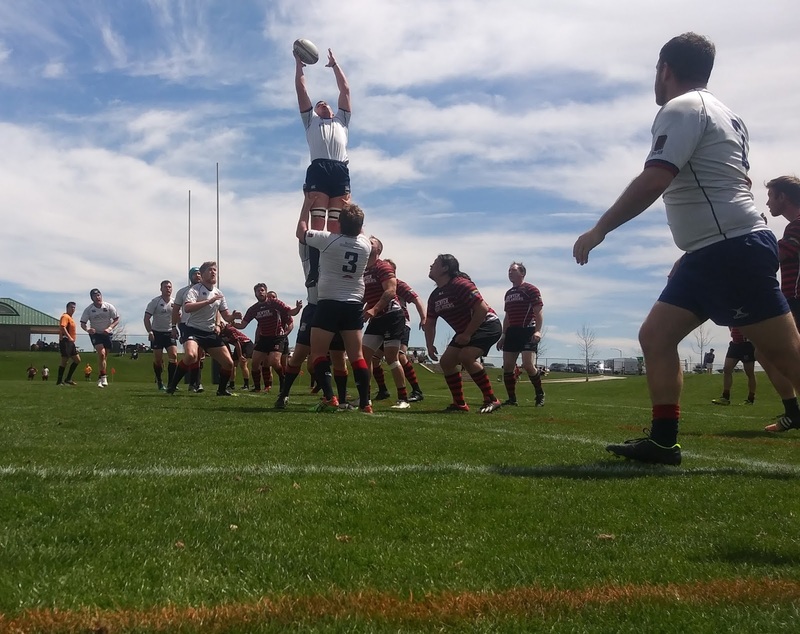 Boulder were forcing Highlanders to commit more men to the tackle, making millimeters over the gainline and keeping the Denver defense on an unsteady rear leg, while Highlanders were experiencing difficulty maintaining possession due handling and passing issues. Tallies were run to 21 and 0 in the 25th minute when Kilfoyle snatched the pill from three meters out and scampered across to try, and Boulder had the match well in hand, seeking the bonus-point just then. 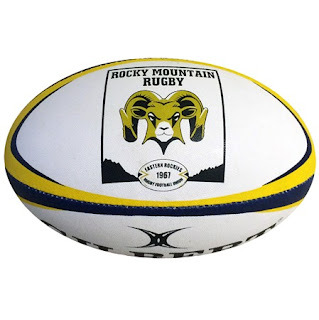 Denver rose to the challenge, obtaining turnover and rolling into the Boulder 22 with movement from their maul aided by penetrating pick-and-goes from breakdown until backrow lock, Derek Smith, collected the pill inside five meters and blasted into goal for grounding: 21-5 at the 30th. 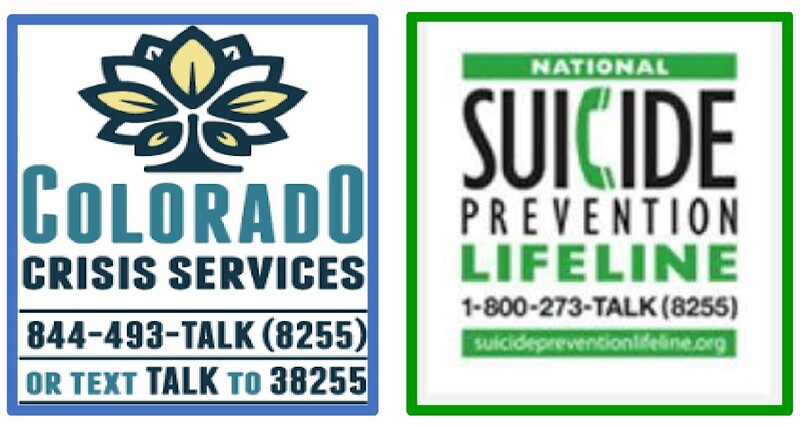 Bonus-point achieved just before time in the half as Boulder 8man, Andy Birch, burst the line at the Denver 22, making fast tracks, before dishing perfectly to openside, Elliot Barker, who closed for Kilfoyle’s conversion and it was 28-5 in the 38th. 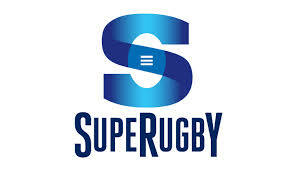 A knock-on fielding the restart saw Highlanders with the set piece five meters out from the Boulder goal. Penalty awarded for front row infraction and quickly-tapped service to swiftly moving loosehead prop, Jeff Westbrook, and the number one banged into goal for touch down converted by 10, Peter Gray, and 28-12 for the home team at the ensuing halftime signal from referee, Brian Kelly. Chances for Denver squandered by poor handling, while territory and possession favored the hosts, who made significance of that stat. Boulder’s straight-center rumbles from breakdown interspersed with delivery to the near channel stampeders the home side’s meat and tatties. Highlanders keenly exploitive at times, wasteful with knock-ons at others. Energy level seemed a bit more intense at the outset of the second stanza with much action between the 22s until Highlanders second row, Will Howard, broke through a crease in the Boulder line and fired up unexpected afterburners, speeding through 50 meters to goal for the grounding that brought scores to 28 and 17 in the 50th, and one would have thought, “hmmmn...?” at that time. 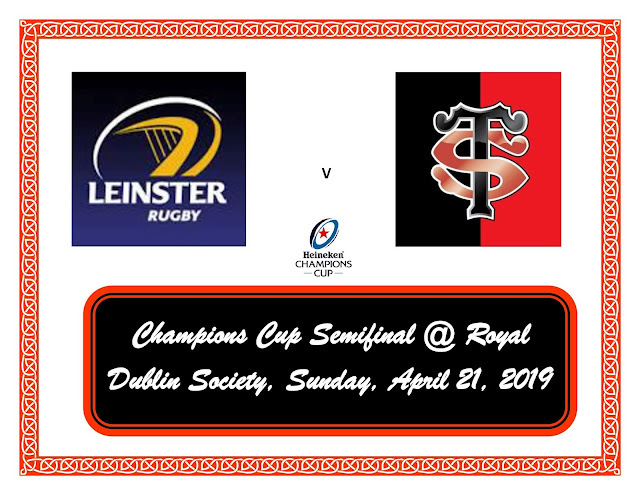 A deliberate frenzy descended on the paddock for the next 15 minutes as forwards fought for possession in heated exchange at tackle and three-quarters strove to fabricate the overlap and misdirected advantage. 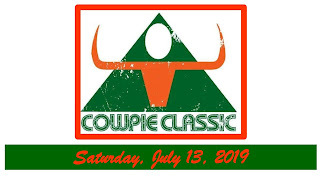 It was Boulder that hit their mark, with first five-eighths, Zach Savage breaking to space at midfield, feeding flyhalf Johnson to finish and with Kilfoyle’s additional deuce, 35-17 after 66 ticks. 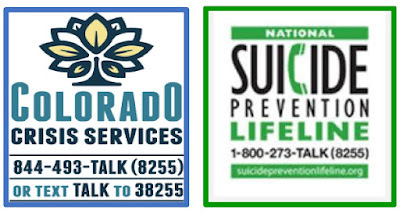 Boulder would ground a brace of further trys through 7s star, Odell Beckham, on a flipper-assisted cutter, and a pack try mauled to goal at time for a result of 47-17 at Kelly’s terminal tweet. M-o-W features Boulder Rugby, in its quest to obtain the extra time frame, versus its Auld Enemy, Denver Highlanders, tomorrow-the-RugbyDay at the finest pitch in the State of Colorado, PleasantView Rugby Grounds*. Homeboys require bonus-point victory to move onto and into extra time. Should Boulder not gain the 5th table point necesary to draw level with Barbarians, the Barbo will test Park City Haggis, who ran the league table, next weekend in Grand Junction for the right to move onto and into USARugby's playoff picture. 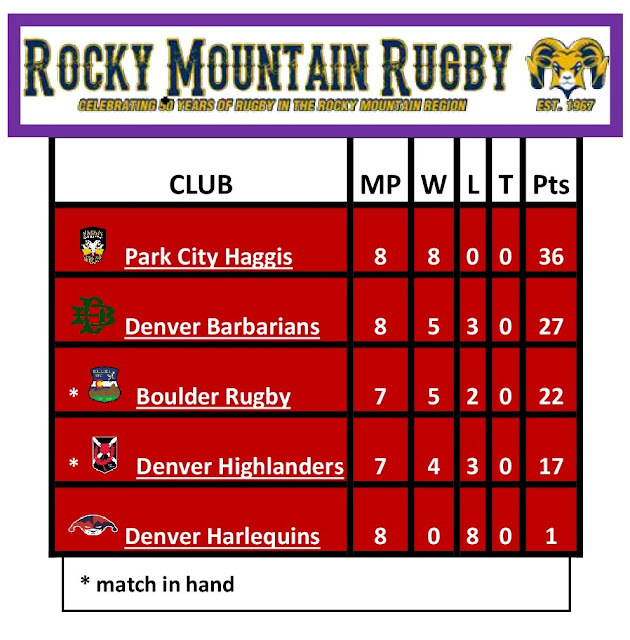 Highlanders scored a bunch last outing at Park City, but Haggis scored more. 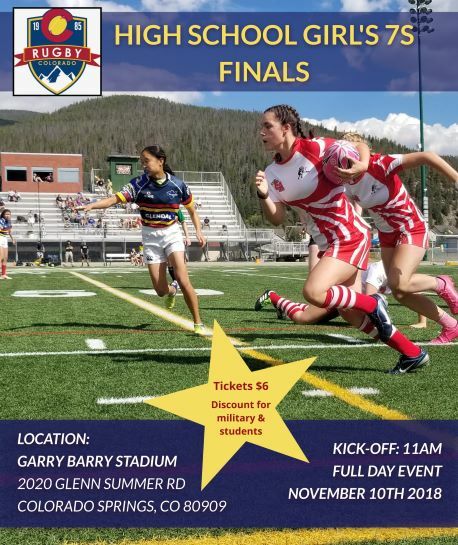 For the Denver XV to thwart their hosts intent on the day they must contain the explosive Boulder three-quarters and prevent Boulder's rolling maul from getting its massive move on. 1pm at the junction of the Diagonal Highway and 47th for the firecracker! Cloudy, overcast and temps in the mid-50s means ideal rugby conditions with the pitch and its eminiently hospitable eastern berm awaiting the rugby. 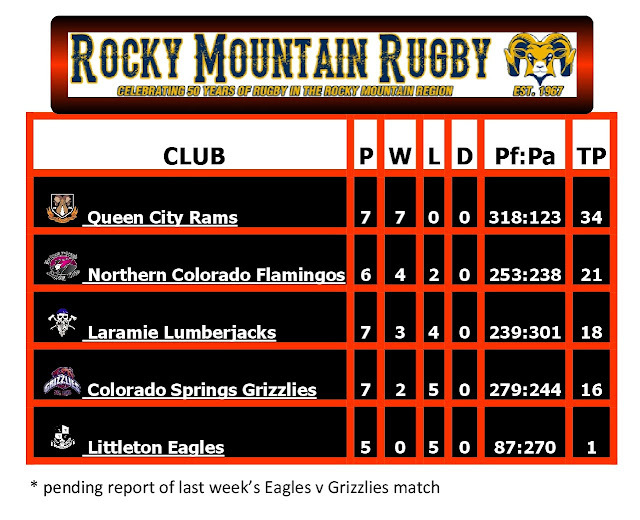 With one round of play remaining (two for the aerial artists, Eagles and Flamingos), Queen City Rams have claimed the league title outright. City have plowed through the league with an unblemished, 7-0-0, record and they’ve compiled a near four-score, 28-on-average, points-differential en route the ordering seat at D-3 table. The high-powered Queen City offense is paced by explosive standoff, Lewis McKissick, and backrowman Hayden Kinnear fronts their deliberative defense. 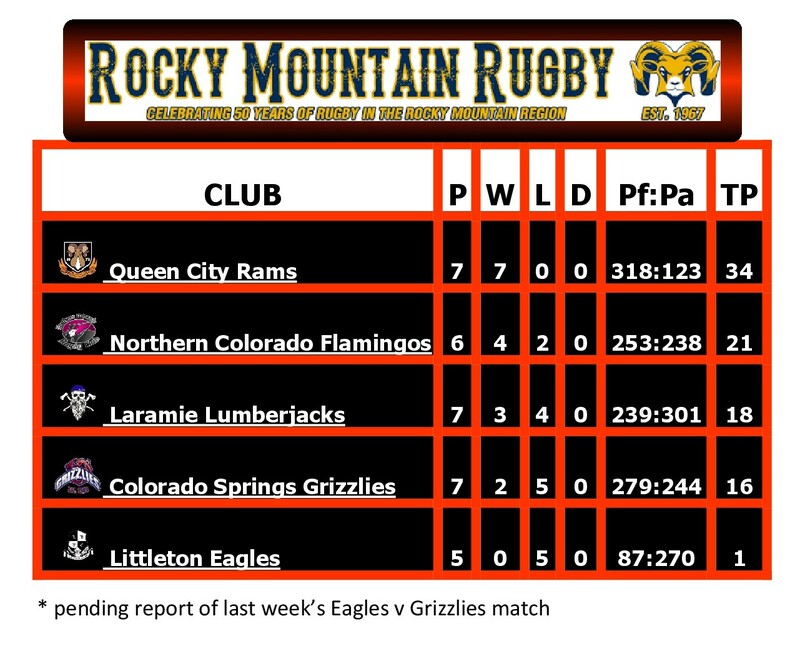 Rams conclude their season at the end of the month, Saturday-the-RugbyDay, 4.27, on the road in Fort Collins against currently second-placed Northern Colorado Flamingos. Crusaders best by far right now; if this were a horserace, the Cantabrians would be coming up on the middle of the backstretch and better than two lengths in the lead, followed by a pack of seven all within a bonus-point (one-length) victory of one another. 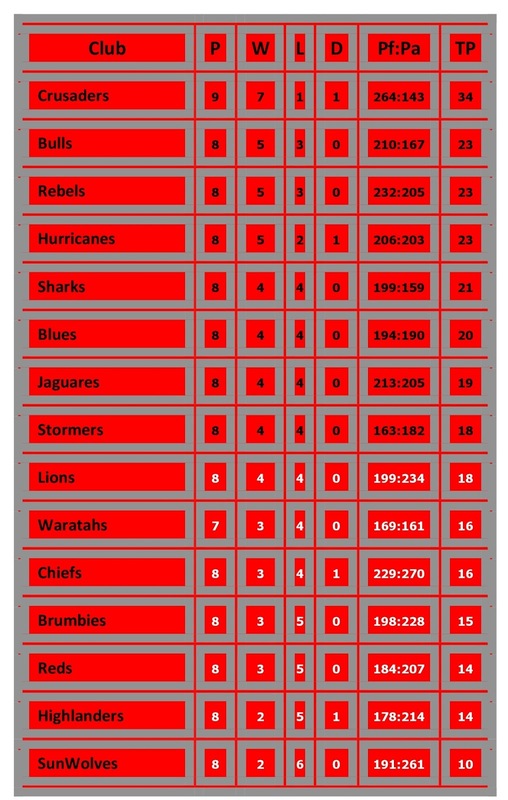 The following half dozen thoroughbreds adrift by half-length that pack and within a brace of table points of each other and the SunWolves bringing up the rear, but only just.